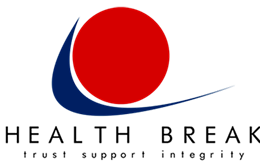 Health Break Healthcare | Consultants and Dynamic Wellness Support Services. Copyright © 2014 Health Break (Pty) Ltd. All rights reserved. THAT'S WHY WE ENSURE THAT THEIR HEALTHCARE IS OUR PRIORITY. EVERYONE NEEDS A HELPING HAND - WE'RE HERE TO SHOW YOU HOW BEST TO PLAN FOR YOUR NEEDS. WE GIVE YOU THE TOOLS TO ANTICIPATE AN UNCERTAIN FUTURE. Our purpose is about how to help employers and individuals on this journey of self-empowerment and healthy responsibility for a happier, healthier, fuller, future!